"Aphrodisiac" it's all in the name! Oyster pink underbust with 18 spiral steel bones on the outside and suspender loops under the bottom front and back for stockings. Can we worn as item of underwear or over clothing as modelled by the mannequin in this picture. On closer inspection you will see embroidery on bottom and top of bones, I used the cross stitch because it's quite old fashioned. 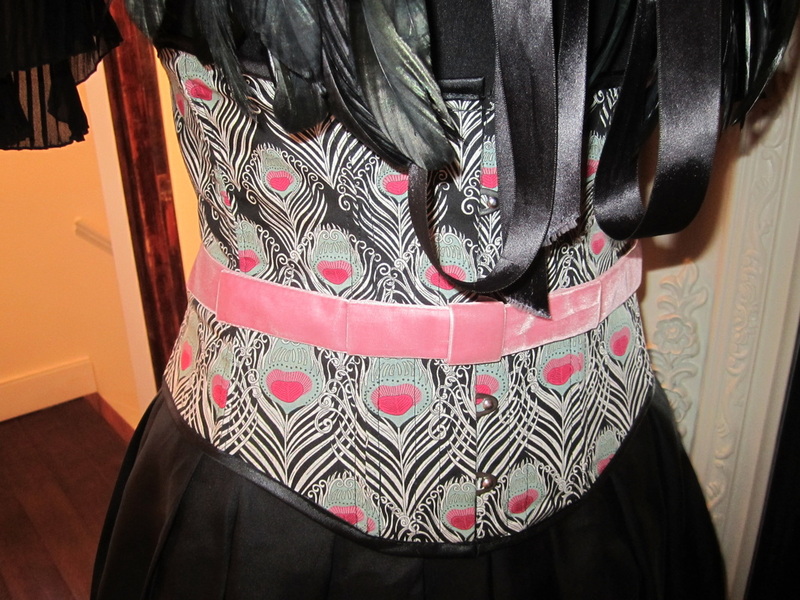 This is an alternative to the black embroidery threads above and I used cream ribbon to lace up the back. Hello Doily - Silk underbust with double lace detail across bottom and top. Mrs Peacock made with a beautiful liberty peacock print. 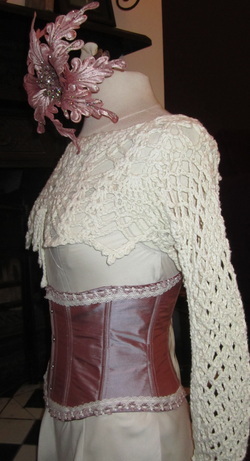 Can be worn as outerwear and combined with a dress or top and skirt. The 1950s style velvet pink ribbon closes and opens with a hook and eye on the side panel and makes for a very flattering shape across the waist.